Happiness is not an accident; we can make it happen if we know how. In simple, easy to manage steps, with lots of practical examples, and backed up by scientific research I show how we can all let go of anger and negative thoughts to achieve lasting happiness and contentment. 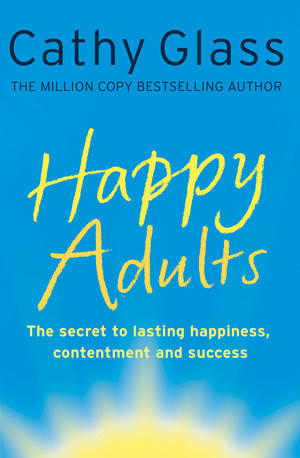 Based on sound psychology with techniques that have been shown to work, Happy Adults is a must for anyone wishing to achieve a happier and more contented life-style. An easy to read yet hard hitting book. While some may think the ‘take responsibility’ view is hard it is delivered with care, sensitivity and understanding. Full of positive advice yet this is warm and friendly, not clinical and cold. A book for everyone: if you just want an emotional boost and pat on the back, or you need help to realise your potential this book is the one to read. Happy adults was a good read, concise and to the point. A great book, I can relate to. It has helped me a lot. I too bottle things up and get depressed – about job hunting. I can now find a new way to deal with it. Thank you so much, Cathy. …at last a common sense approach in words we can all understand. I can think of a number of people who will be getting a gift of this book in the near future, so I will have to get an extra copy for myself. Thank you, I am smiling, I O it 2 me. Regardless of how contented or happy you feel with your life, you will find some useful tips and advice in Cathy Glass’s new book.